There was a lot of conflict between my sister and me growing up. We knew each other’s Achilles heels and we used them. We had different temperaments and everyone pointed that out. She was the brash, confident, cute one. I was the quiet, feminine, sweet one. Our differences, instead of being appreciated, became points of competition — a constant subversive question of which temperament was better. Who was the victor? Despite being the older sister, I often felt like the lesser in my parents’ eyes and even in my own eyes. My sister and I fought over everything from the front seat of the car to time in the bathroom. We did not create a safe loving place for each other. There was no progress or resolution or collaboration. I was happy to be out of the house with my friends or tucked up in my room away from the conflict. 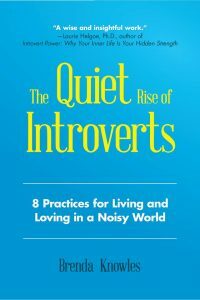 Psst: This post is an excerpt from the book, The Quiet Rise of Introverts: 8 Practices for Living and Loving in a Noisy World, by Brenda Knowles. Check it out here. Science has proven we choose mates who are familiar or even familial. They remind us of past relationships. I want to emphasize that familiar does not necessarily mean positive. My ex-husband had the conviction, drive and aggressiveness of my sister. It was nice to have someone like him (her) on my team. He was in my corner. He could fight the dragons for me. He could shore me up where I was weak. We were a good team until the sunshine went away. When I got overwhelmed and felt used and he got stressed and felt used, we became competitors. We both needed love and understanding but instead we competed for appreciation and respect. My ex-husband and I did not fight outwardly. We suffered inwardly. We thought we were good parents and spouses because we did not fight. We kept the peace by giving up pieces of ourselves. We did not express ourselves openly. We harbored resentment. It became hard to be near each other because there was so much emotional subterfuge and suppression. We did not feel emotionally safe around each other. It was hard to connect. 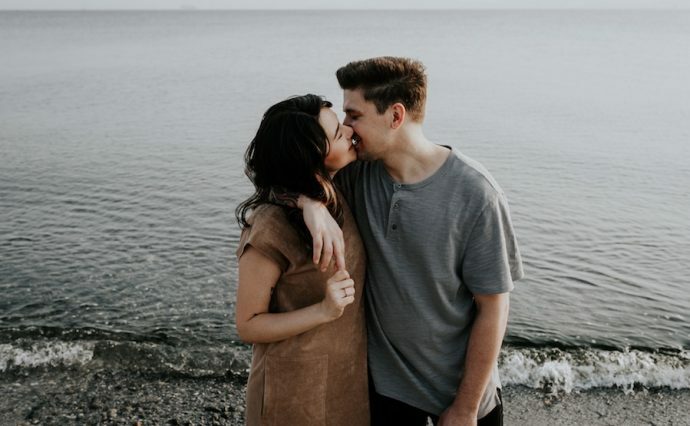 According to research reported in the Journal of Consulting and Clinical Psychology, couples that address and resolve their conflicts are significantly more satisfied with their relationships than couples that do not. In truth, we fight because we care. We believe there is something worth fighting for. Only in recent years have I learned to see conflict as two people figuring out a way to move forward together. And I can only do that on my best days, when I am not triggered by fear. We must all learn a vocabulary to articulate what we want, to work through disagreement. We learn this by going through phases in our relationship that challenge us. Some call them post-honeymoon, gridlock, or power struggle phases. I call them Reality Phases. They are when we get real and find out if our loved one can and will stand with us. Once one or both partners perceive permanence in the relationship, the struggle kicks in. This is when most couples break up. This is where conflict begins — both internal and external. We realize we have given up parts of ourselves for connection and want ourselves back. Elements of automation and attachment surface during this stage. Neuroscience says our brains constantly look to simplify and automate processes to make less work. Think about when you start a new job. At first, it seems there is a lot to learn and our brains get a workout paying attention to every detail. Over time, parts of our job become second nature and we move through them with minimal effort. Our relationships and our partners are no different. After a while with our mate, we think we can predict their behavior, so we do not have to be as attentive. We go on autopilot and send fewer texts, make less eye contact and use past experiences to forecast present ones. Our partner feels less seen, heard, and loved and usually lets us know by complaining, sulking or withdrawing. What can we do to avoid these outcomes? Love and fight consciously. Maintain attentiveness and presence. Do not go on autopilot. Stay attuned to our partner. Use conflict to grow and heal, make progress. Work through arguments until we both feel understood. It should be noted the Reality stage cannot be skipped. Every couple on their way to a secure relationship passes through this struggle. This is when we learn to articulate our needs and generate empathy. Remember, we fight because we care. We want to make our relationship work. How do we fight consciously? What does it look like when we don’t? Let’s start with unproductive fighting, the kind that does not heal or resolve anything. It often starts with an event that sets one or both of us on edge. We may be activated internally by nuances or memories that remind us of past problems within this relationship or other relationships. Because of the triggering, we disconnect or distance ourselves from our partner emotionally and/or physically. This leads to an argument, which leads to reactive behavior caused by our primitive brain’s perceived threat. Reactive behavior could be anything from yelling and swearing to ultimatums to complete withdrawal to multiple “check in” texts throughout the day. The point is it is unproductive and usually leads to more distancing. Conscious or attentive fighting is productive. It starts out the same with an inciting event and disconnection from our partner, but it moves into the type of arguing that aims for clarity and understanding. The goal is to work together until we each feel heard and understood. This kind of fighting involves empathy and responsiveness, but for now responsiveness means listening to our partner’s requests for attention and responding to them without clouding our reaction with our own autobiography or defensiveness. Once we achieve a feeling of being understood, we reconnect. Our intimacy improves and we move out of the Reality Phase and into the Secure Phase. As Introverts and highly sensitive people, we often give up parts of ourselves to maintain harmony and avoid stimulating and uncomfortable conflict. In the end, this does not serve us. As I mentioned in my examples with my sister and ex-husband, it only lets the discomfort continue without any resolution.